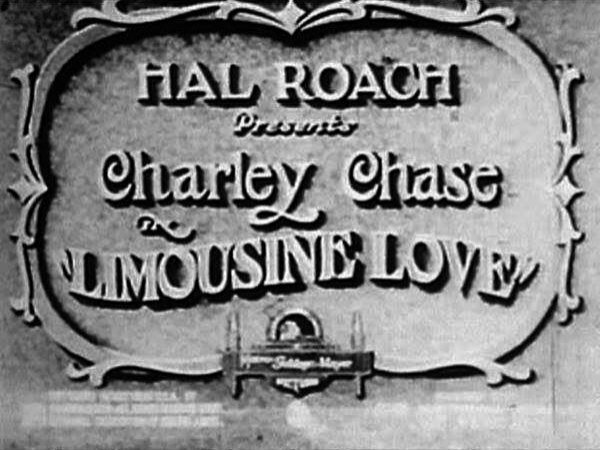 Charley is on the way to meet his bride (Edna Marion) in his chauffeur-driven limousine when his car ends up in an accident with another vehicle. The driver of the other car gets out and smacks Charley in the mouth before fleeing. 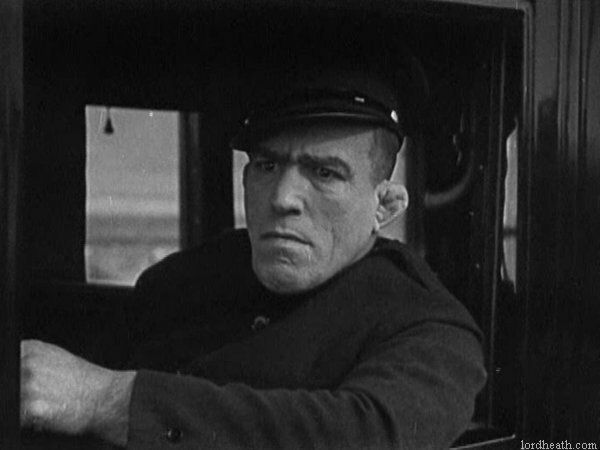 Charley starts chewing his chauffeur out over the incident, causing his driver to quit. 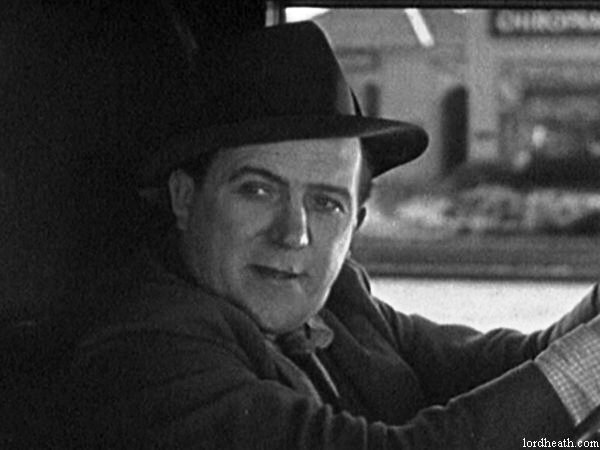 Meanwhile, Mr. Glanders (Edgar Kennedy) is taking a leisurely drive in the country with his wife (Viola Richard) when they get into an argument. Mr. Glanders gets out of the car as his angry wife drives off without him but ends up crashing the car into a ditch. She gets out of the enormous puddle that she has found herself in and makes her way to Charley's vacant limousine which is parked up across the road. She gets in the back and starts to take off her wet clothes. 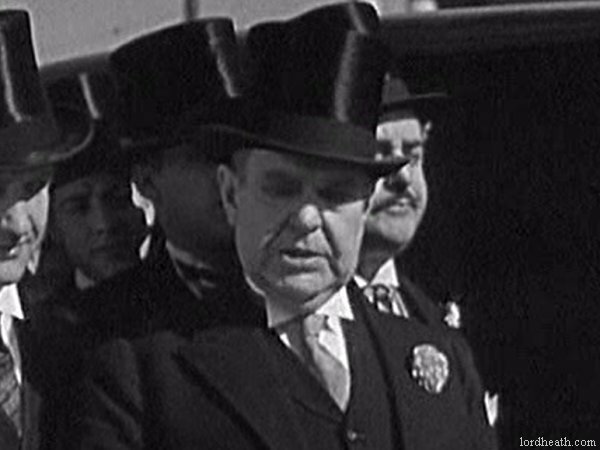 A gas tanker truck stops by and Charley tries to buy some gas but the driver refuses, so Charley chases the truck down the street and fills up his top hat from the fuel tap from the back of the truck as it's moving. Charley runs back to his car feeling victorious but trips over and spills the gas. A motorist (Ed Brandenburg) stops by to help Mr. Glanders who is stranded on foot, and offers him a pair of roller skates. Needless to say the offer is not received well! Charley gets his car going again oblivious to the naked woman in the back of it who had hung her wet clothes out of the window to dry before he pulled away. When Charley realises the woman is in the back of his car he pulls over and she explains what has happened. A short time later Mr. Glanders comes hopping down the road and asks Charley for a lift. His naked wife sees him and panics. 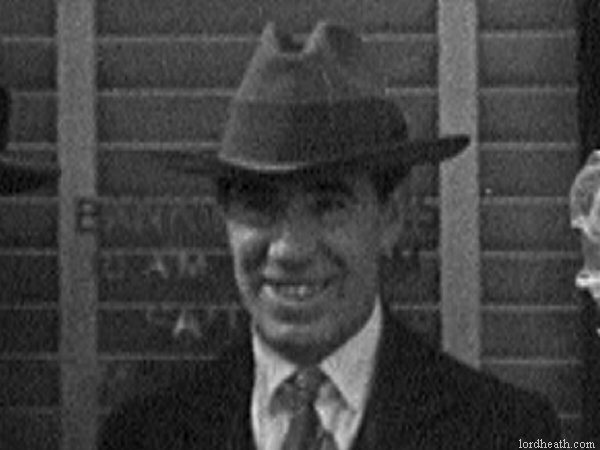 Glanders confesses to Charley that he would kill any man if he ever found him with his wife. Charley gets pulled over by a suspicious motorcycle cop when he sees Charley has his blinds down in the back of the car. He finds the naked lady concealing her modesty with a newspaper and is satisfied Charley isn't a booze runner and leaves. They drive into town and Charley grabs a basket full of laundry from a guy in the road and throws a sheet to the lady in the back of the car. 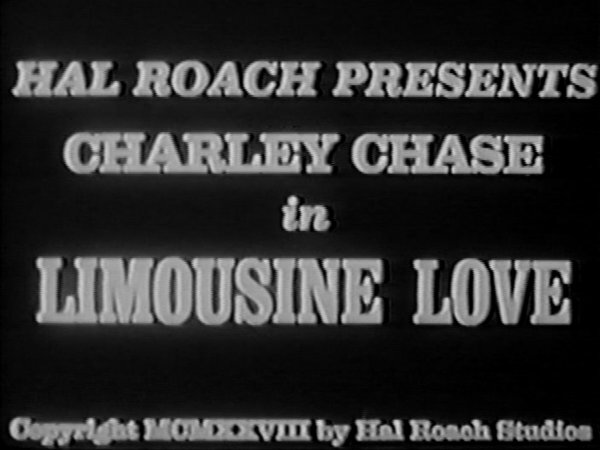 They arrive at the hotel where Edna is patiently awaiting for Charley but Charley pretends he cannot stop the car despite several of the guests jumping on it, including Charley's soon-to-be father-in-law. Charley tells him of the predicament he is in and the father sympathises with him. After a while Edna decides to stop the car once and for all and hitches a ride in a wedding car which pulls up next to Charley's. She boards Charley's car and suggests he turns a switch to stop the car. He pleads ignorance and uses the switch. The girl in the back of the car, now wrapped in a sheet, slips out when Charley distracts Edna. 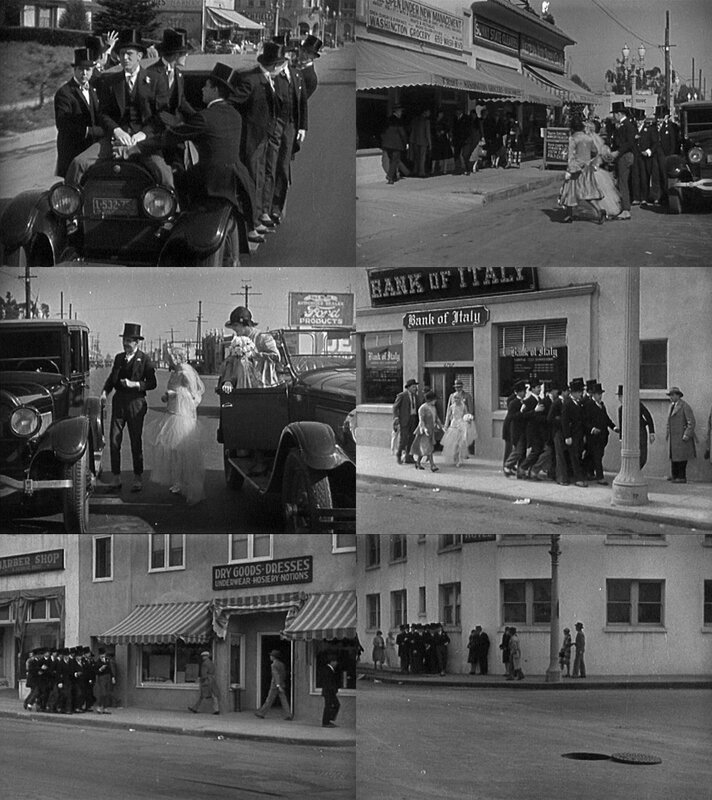 The men shield her as they all march off down the street towards the hotel with Charley and Edna leading the way. 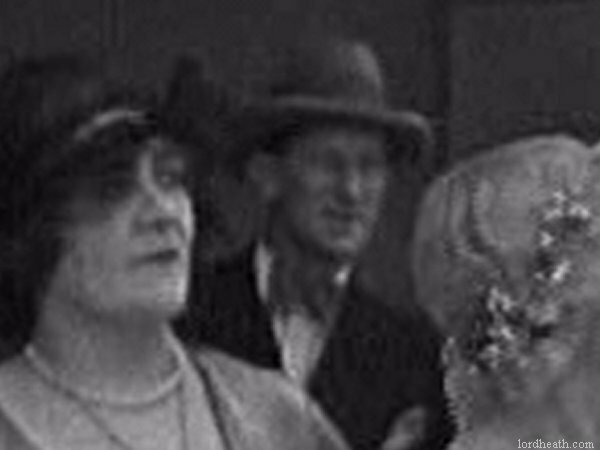 Finally Edna turns around and asks why all the men are behaving oddly. Charley thinks fast and tells her they are all members of the Order of Horsefeathers and that this is part of the ceremony. Edna becomes suspicious when she asks why her father was suddenly involved? 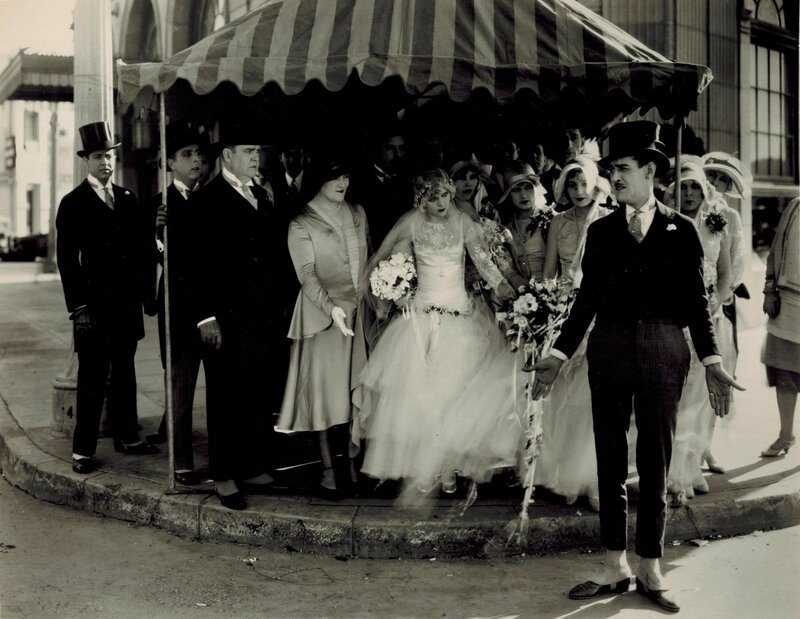 They march on with Charley looking for any opportunity to ditch the lady before her husband sees her. The group march down the street where a vent keeps blowing air up the ladies' skirts (even Edna gets a blast, much to our delight!) until they manage to get the lady back into the car without Edna seeing. Her opportunist husband takes charge when he climbs into the back seat with her and begins flirting, telling the stranger that his wife is an invalid. She reveals herself to him and the inevitable finally happens! Charley and Edna get married but Mr. Glanders has the final laugh when he throws a pie and hits Charley square in the face! The inevitable had to happen eventually! • Copyrighted April 14, 1928. -The Kinowelt DVD has recreated titles. -The Kinowelt DVD is missing the opening scene where Edna is seen in long shot waiting at the hotel (3 seconds). 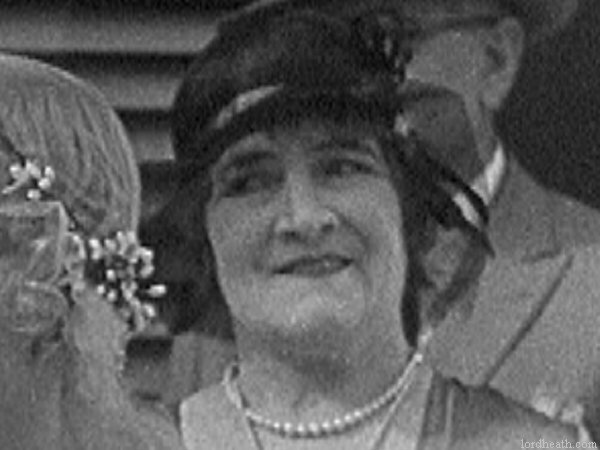 -The Kinowelt DVD is missing a subsequent shot of Edna Marion in a close-up pose. (2 seconds). 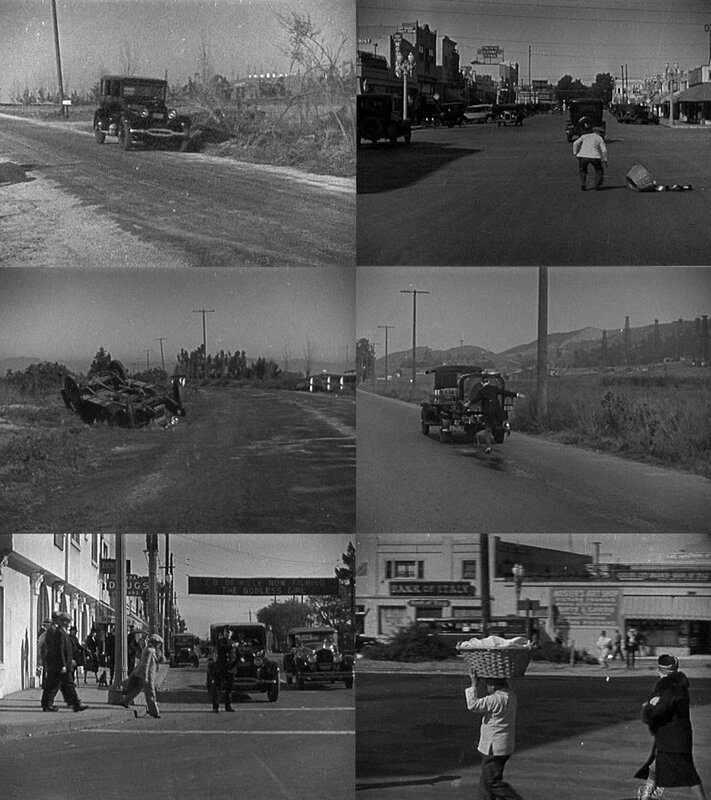 Both prints of the film then have the scene where the two vehicles collide. 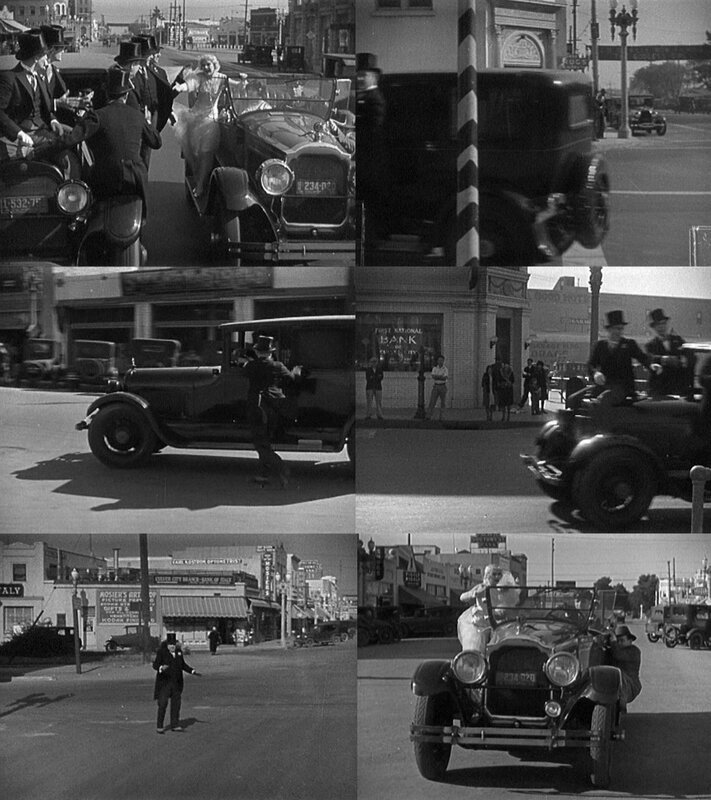 -When Edgar Kennedy gets out of his wife's car there are 19 frames missing from the DVD (less than 1 second) just before she tells him "from here on it's your own funeral" (this intertitle card is also missing from the DVD). 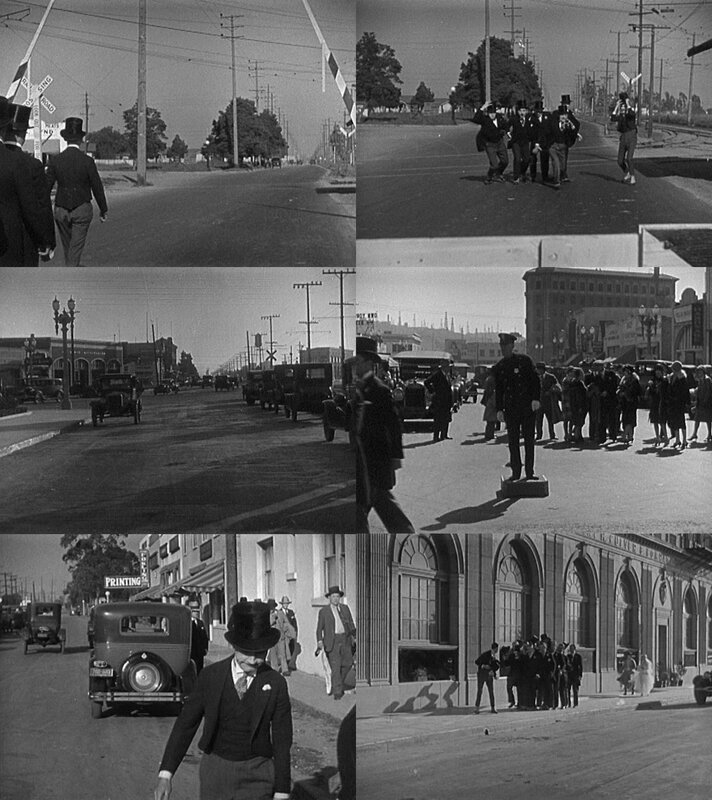 -Another scene which is absent from the DVD is when Edgar Kennedy and Charley Chase are standing by his car joking about the girl in the back. 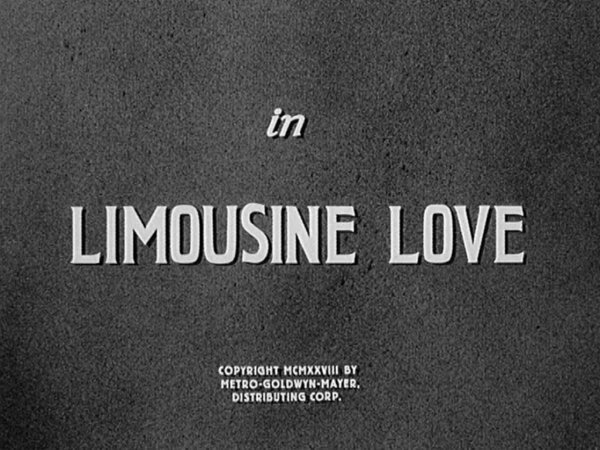 There is a brief cutaway reaction shot of Viola Richard in the back seat as she sees her husband outside. (2 seconds). 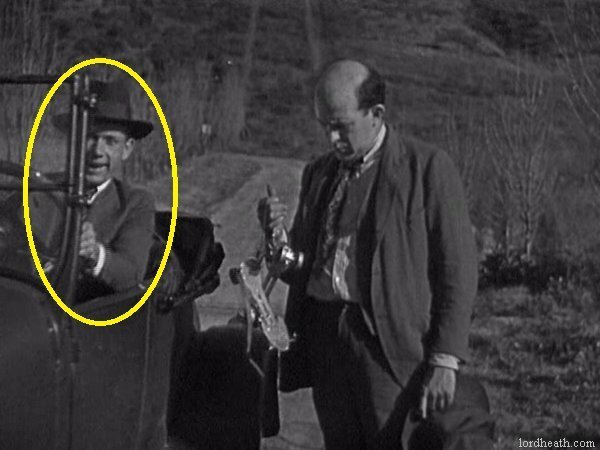 -The DVD is missing 28 frames (about 1 second) when the monkey climbs up on the back of the car and Viola Richard pulls the blind down. The monkey is then seen climbing back down, but this scene is absent from the DVD. -There are a further 3 seconds missing from the scene where the crowd are gathered on the sidewalk outside the hotel with Edna waiting. Just before the guy comes out and says, "I'll stop it!". 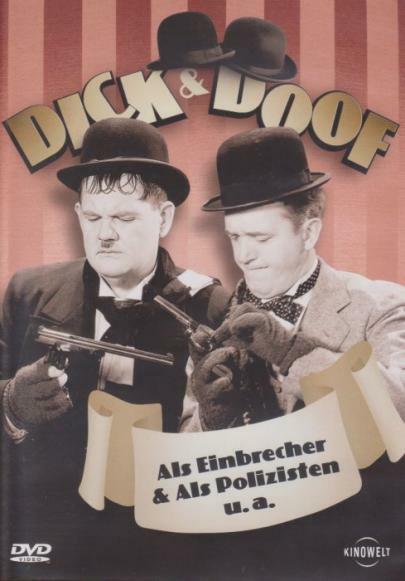 -Another scene missing from the DVD is when Edgar Kennedy turns to Charley and tells him "~Stop at my hotel ~ I'll give her one of the wife's dresses ~". 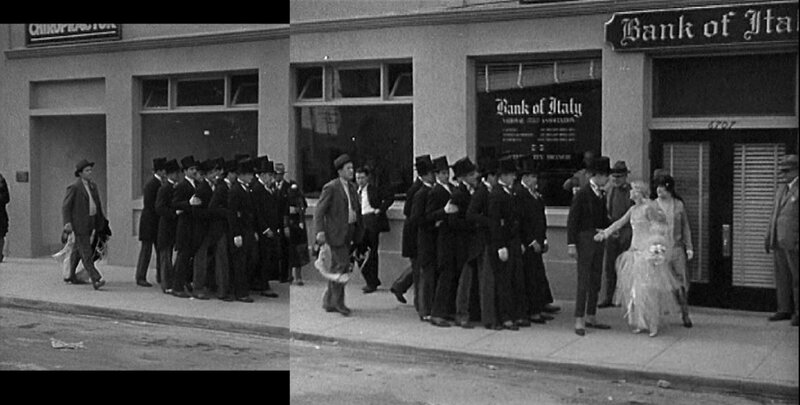 -There is a huge chunk of footage missing towards the end where Charley and his guests are walking down the street. 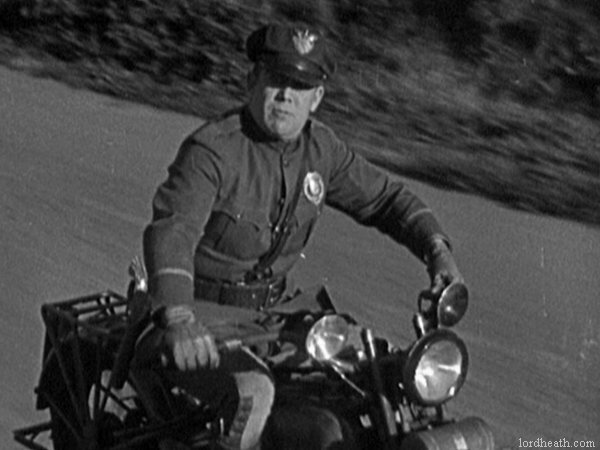 Just after Edna Marion has her dress blown up by the vent in the sidewalk, the DVD cuts to the men walking towards the camera but misses out a scene with them crossing the street and a shot of Edna's mother saying "~Don't tell me you are going to marry that leaping bedspread!~" Charley then waves the sheet under a cop's nose and joins the other men on the sidewalk. This is the biggest piece of missing sequence from the DVD and runs approximately 21 seconds. • The wedding is due to take place at the Plaza-Belmore Hotel, according to the opening title card (absent from the Kinowelt DVD). 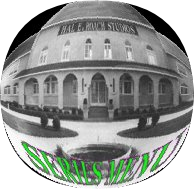 • A banner can be seen hanging across the street in Culver City which reads "Cecil B. De Mille Now Filming The Godless Girl". • Lincoln Plumer, who plays the role of Edna's father in the film, died on the final day of shooting. 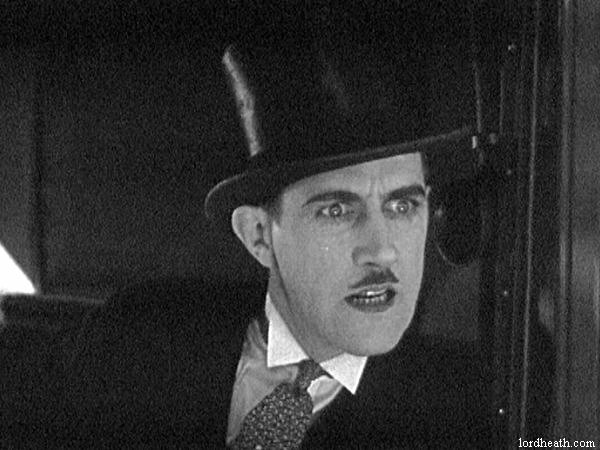 • "Generally regarded as one of Charley Chase's best silent films." ~ Lord Heath.